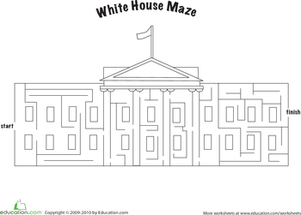 Complete a White House Maze! The White House is a grandiose structure: It has six stories, 132 rooms and 35 bathrooms, and 412 doors. Can your child make it through the twists and turns of this maze modeled after the official residence of the President of the United States? As he completes this perplexing puzzle, he will practise his problem solving capabilities and fine motor skills. 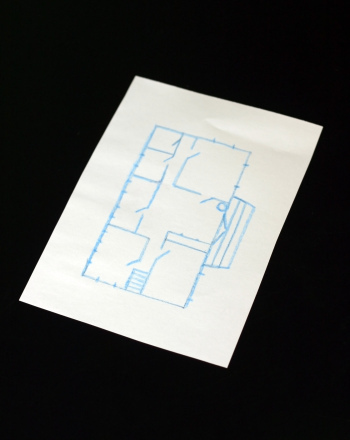 This worksheet shows how to draw a house using just squares, rectangles and triangles. 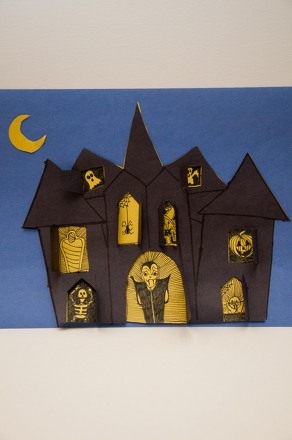 Have your student draft a blueprint for a haunted house, and trick (or treat) them into learning about geometry in the process. This fearsome Greek mythology maze is a great backseat distraction or homework break -- just don't get lost! Get lost in this pumpkin patch maze! Celebrate the fall season with this colorful puzzler, perfect for the car ride to the pumpkin patch. Do you dare to step into this twisting corn maze? Try not to get turned around by this tricky puzzle. Just find the exit as fast as you can! 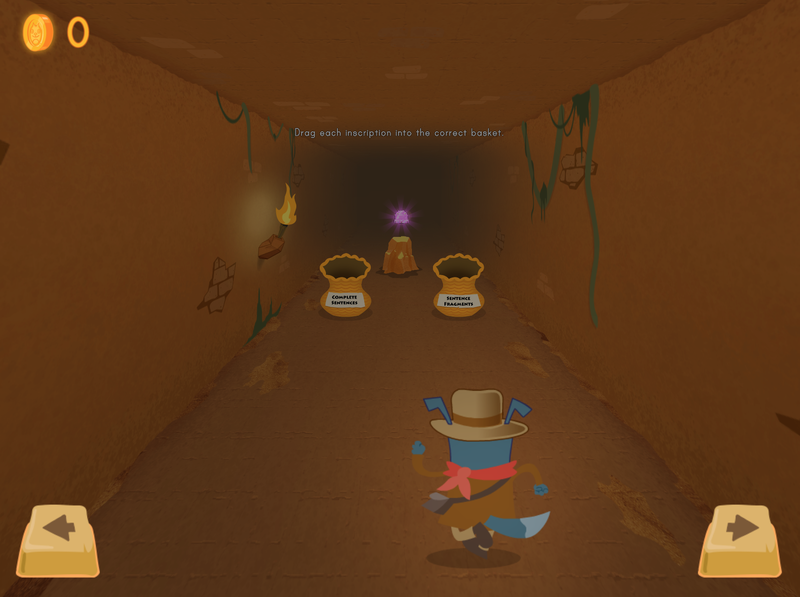 Can your child find his way through this maze? Roll fine motor skills practise into St. Patrick's Day fun, or bring some Irish luck to any day of the year! Complete Circuit: How Does a Flashlight Work? How does a flashlight work? 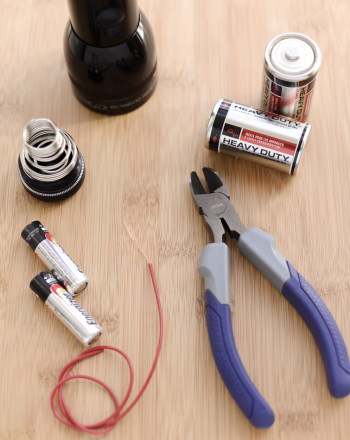 Kids will make a complete circuit and explore how voltage contributes to brightness with this science fair project idea. Help your third grader identify whether or not a sentence is complete with these exercises that give your student helpful hints when they get stuck!